Useless facts are meant to entertain the trivia and history buff in us. But here in FilipiKnow, it is our goal to bring you not only useless facts but also information that will hep you know more about our past, culture, and achievements as a nation. 1. 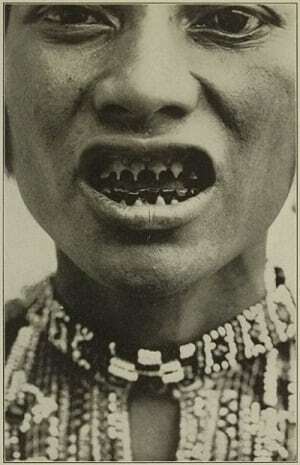 The Bagobo tribe in Mindanao file and blacken their teeth for ‘aesthetic’ purposes. The Bagobo, one of the largest indigenous groups in the country, require their members who have reached the age of puberty to have their teeth filed and blackened. It is a beautifying procedure they consider as an ultimate rite of passage for every young Bagobo. To file the teeth, the candidate must place his head against the operator and grip a stick of wood between his teeth. Each tooth is then filed, leaving only the stump. After the teeth sharpening, what is left is blackened using either a deposit formed through a smoke coming from a charring bamboo or a powder known as tapEl produced by the lamod tree. During the entire duration of the treatment, the candidate is not allowed to drink water, eat sour food, or attend a funeral to avoid having a teeth with poor color. 2. Fe Del Mundo was admitted in Harvard Medical School because she was extremely smart…and because they didn’t realize she was a woman. Fe del Mundo was a woman of many firsts. She founded the first pediatric hospital in the Philippines and also invented an improvised incubator, a cloth-suspended scale, and a radiant warmer made of bamboo that were widely used in rural areas. And yes, she was also the first woman admitted in Harvard Medical School which only allowed female students almost nine years after she got in. 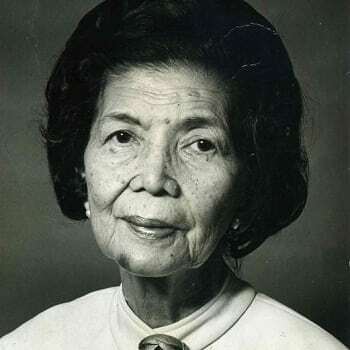 In 1936, Fe Del Mundo earned a post-graduate scholarship offer to enter Harvard University Medical School. However, she was already in a men’s dorm in Boston when Harvard — which would only open its gates to women in 1949 — realized they allowed a female to be part of their all-male school. Thanks to her impressive scholastic credentials, Fe del Mundo was finally allowed to stay in Harvard and became its first and only female student at that time. 3. The Baclayon Church in Bohol was built using coral stones and egg white! 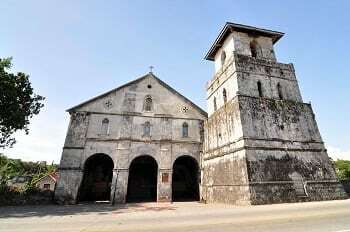 Completed in 1727, the Baclayon Church in Bohol is considered to be one of the oldest churches in the country. Baclayon was the first choice of the Spanish Jesuit missionaries to be their seat, but fear of Moro marauders forced them to move to Loboc. It was only in 1717 that Baclayon became a parish, leading to the construction of the church. The church was built by a total of 200 native laborers who took coral stones from the sea, cut them into blocks, and lifted them using bamboo. To cement the blocks together, they used the white of about 2 million eggs. The church was completed in 1727 and obtained a large bell in 1835. Unfortunately, the Baclayon Church is one of the heritage sites in Bohol that was destroyed by a 7.2 magnitude earthquake that hit the province last year. 4. President Ferdinand Marcos created a safari park in the Philippines where you can see African animals such as giraffes, zebras, and antelopes. Located in Busuanga in Palawan, the Calauit Island was declared as a game preserve and wildlife sanctuary by the Presidential Proclamation No. 1578 under the Marcos administration. The sanctuary, which is also the only known savanna in the country, was created by the late dictator as a response to an appeal by the International Union of Conservation of Nature (IUCN) to save endangered animals in Kenya, Africa. 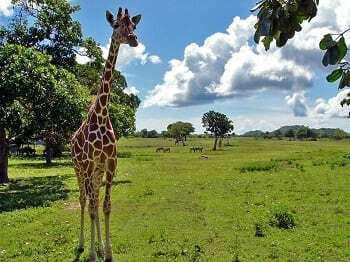 With an area of 3, 700 hectares, the Calauit Island Wildlife Sanctuary is where both African wildlife and endemic Philippine animals live in their natural state with minimum human interference. It is home to many species of African animals such as zebras, giraffes, waterbucks, gazelles, and impalas as well as Philippine animals like Calamian deer, bearcat, sea turtle, and Palawan peacock pheasant among others. 5. 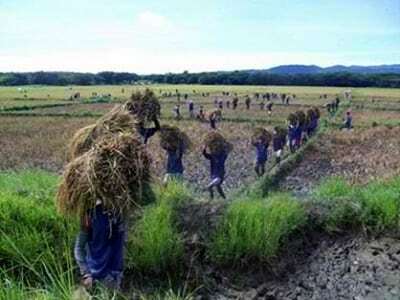 There’s a prison in Palawan where inmates are allowed to work in rice fields and act as tour guides without the need of walls or hundreds of prison guards. The Iwahig Prison and Penal Farm in Puerto Princesa, Palawan started during the American Occupation. Governor Luke Wright was the one who authorized its establishment on November 16, 1904. During its first few years, it faced several instances of attempted escapes, but when Col. John R. White became its superintendent in 1906, the colony started to become a huge success. Today, inmates are allowed to act as tour guides, manufacture souvenirs, and take various vocational activities such as farming, forestry, and carpentry. Asked why the prison has no walls and hundreds of guards, the warden explains, “they have nowhere to go, they will only be beset my mosquitoes and fall ill of malaria in the jungle” should they try to escape. 6. There was a plan to establish the first ever dwarf-only colony in the Philippines. To escape the harassment and discrimination that are part of having a diminutive size, Alejandro Doron Jr. along with 30 other Filipino dwarves announced their plan to establish the country’s first colony for little people. In an article published in The Guardian in 2011, Doron said that there was already an investor who donated 16, 000 sq m of land near Manila, although additional funding is still needed to clear the fields and build the houses. Doron, a 35-year-old bartender who works at The Hobbit House, the country’s only restaurant run entirely by little people, hopes that politicians will help them build their dream colony and even turn it into a tourist spot in the future. 7. Texas, U.S.A. was once referred to as “Nuevas Filipinas” or “New Philippines”. According to Texas State Historical Association, both Nueva Filipinas and Nuevo Reino de Filipinas were secondary names assigned to an area of Texas located above the Medina River. Antonio Margil de Jesús first used Nueva Filipinas in a letter to the viceroy dated July 20, 1716. It was also used by missionaries in the area with hopes of gaining royal patronage which the Spain gave to the Philippines a century and a half earlier. The name regularly appeared on documents during the next forty years, but eventually disappeared towards the end of the 18th century in favor of ‘Texas’. Open to all Amateur Singers of all ages. Plus White Party & Halloween Kid’s Costume Party with lots of fun and surprises! Overseas Filipino Workers (OFWs) will have easier means to benefit from the programs and services of the Social Security System (SSS) with the launching of the newly created OFW Contact Center Unit (OFW-CSU), starting October this year. SSS Senior Vice President and International Operations Division Head Judy Frances A. See said the new unit will handle direct contact points for OFWs to allow for a more differentiated servicing and faster resolution of their SSS concerns. For its initial operations, the OFW-CSU will provide dedicated e-mail support and local call services from 6:00 am to 10:00 pm on weekdays. In addition, a special assistance desk will be available at the SSS main office in Diliman, Quezon City for walk-in transactions of OFWs, such as registration and issuance of SS numbers, enrollment in Flexi-fund Program, and verification of SSS records. It will also provide OFW members assistance in filing their loans, benefit claims and other SSS applications. “We understand the unique circumstances of our Kababayan abroad, and so we continue to find ways to make the SSS more accessible to them. The creation of a specialized contact unit for OFWs will enable us to identify their distinct needs and address them accordingly. It will also help us manage the level of transactions with other member service facilities more effectively,” See explained. See added that additional channels and service facilities have been lined up for implementation to fully complement the unit's operations. “We will open international toll-free numbers so OFWs across the globe can call us without having charges on their end. OFW-CSU's operating hours will also be extended to 24/7 once the required systems are in place,” See said. Other services that will be rolled out soon include online contact points that utilize VoIP and instant messaging platforms. “This is still part of our campaign to reach out to Filipino workers here and abroad and ensure their continuing coverage under the SSS. We want not only to increase SSS membership of OFWs but also to ensure active membership. Considering the voluntary nature of their coverage, we can only achieve both by giving them a consistent good experience with our services,” See said. The SSS reported a total of 983,262 OFW members as of June 2014. Based on the 2013 POEA Compendium of OFW Statistics, more than 1.8-million OFWs were deployed in 2013, of which 464,888 were new hires.